Go ahead. Make fun of Bryan Koop all you want. He’s the real estate executive who wants to make “Uptown” happen as a neighborhood name around TD Garden. The company he works for, Boston Properties, is building a ginormous residential and commercial complex there, amid a clump of other fast-sprouting development projects. As the Globe’s Tim Logan recently reported, not even Koop thinks people are adopting the company’s proposed name. “Everybody tells me it’s not sticking,” he told a real estate conference. Nevertheless, the company’s halfhearted branding effort recognizes something important: New things need names. And in a city that’s nearly four centuries old, a whole new geography has sprung up just in the last five or 10 years. We just haven’t quite come to grips with it. In general, humans are slow to update our mental maps. We keep telling ourselves the same old stories about the places we inhabit. On screen, Ben Affleck and Matt Damon lead audiences through a gritty, noirish version of Boston. Travel guides direct out-of-towners to the Freedom Trail through the city’s historic heart. In a city that’s nearly four centuries old, a whole new geography has sprung up just in the last five or 10 years. We just haven’t quite come to grips with it. Keep going. Head down the Rose Kennedy Greenway, and turn left into a Seaport full of glass boxes that were built, like, last Thursday. 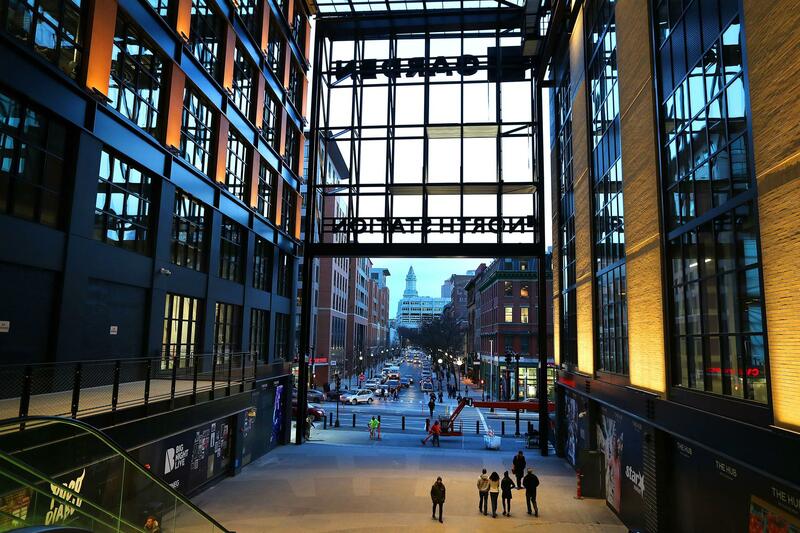 From there, proceed down A Street to the new millennial paradise that’s sprung up around the Red Line’s Broadway station, and then onward to the South End’s post-industrial New York Streets area, where quinoa and pinot noir are sold where the Boston Herald used to be. Boston isn’t a finished product. By American standards, Boston is already jam-packed, but recent experience shows there’s still more room. In Allston, the state transportation department’s wise decision not to rebuild a Mass. Pike viaduct helps clear the way for a transit-rich neighborhood to rise on dozens of neglected acres. Now that Suffolk Downs won’t become an Amazon office park, it can become a real urban community as long as city officials prepare accordingly. That’s hardly a given, because the usual planning tools — height limits, minimum-parking requirements, and more — are designed to prevent dense new development, not promote it. Kowtowing to cars precludes better opportunities. It’s not a coincidence that so much construction is happening where parking is scarce, or that Boston’s most iconic neighborhoods all went up before the automobile took over. Beacon Hill and Back Bay couldn’t have been built if every row house needed off-street parking for every resident. Today, we treat driving and parking as something close to a human right, and design entire communities around them. But cars are most useful when you’re the only one driving; when everyone does, gridlock results. If drivers had to pay for the damage their cars do to the environment and the space they take up on public streets, more people would ride the train. Multifamily housing is popular — where it’s allowed. For all the grumbling about luxury condo towers, their proliferation shows that lots of people want to live in a type of building that’s banned in vast swaths of Massachusetts. Let’s not mince words: Single-family zoning began as a means of racial exclusion and serves that same function today. Other communities are beginning to roll it back. The Minneapolis City Council recently voted to allow two- and three-plexes in areas previously reserved only for individual homes. In California, the state lawmaker who proposed what once seemed like a radical upzoning around transit stations now chairs the Senate Housing Committee. In Oregon, the speaker of the House has proposed to end single-family zoning in cities of over 10,000 residents. In Massachusetts, it’s great that our Legislature set aside $1.8 billion last year to build and preserve below-market-rate housing. But forcing towns to legalize more privately built multifamily housing would ease the region’s housing crunch without costing taxpayers a dime. Sadly, zoning reforms have stalled again and again, and last year not even a modest measure to make it slightly easier for towns to approve multifamily housing made it out of the House. It’s crucial for 21st-century Bostonians to understand that the nation’s oldest major city is still capable of tremendous growth and dynamism. Public infrastructure requires public dollars. As developers build upward on land unlocked by the Big Dig and in areas well served by the MBTA, it’s clear that yesterday’s investments in transportation are bearing fruit in countless ways. But we are not paying the favor forward. Seaport traffic is the inevitable consequence of skimping on transit. Rather than securing land and directly funding new public parks, we try to do it on the cheap by asking developers to build green spaces. The local real estate industry is apoplectic over Governor Charlie Baker’s proposal to pay for climate adaptations via a property transfer tax. But as old infrastructure crumbles and sea levels rise, tomorrow’s priorities need a steady source of money. At the moment, Boston is in an enviable spot. 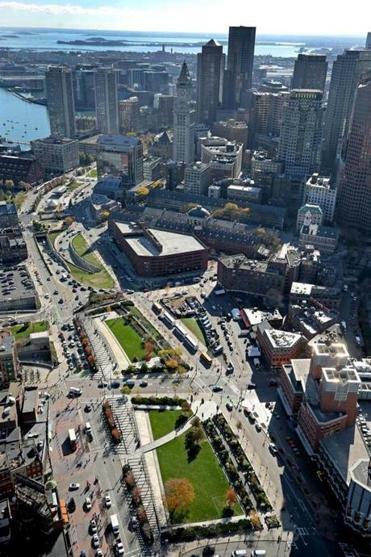 It doesn’t matter whether the area around North Station is called “Uptown” or something else. When zillions of square feet of new space are under construction, it’s a sign of basic economic strength — even if people are rolling their eyes at developers’ efforts to brand the place. It’s crucial for 21st-century Bostonians to understand that the nation’s oldest major city is still capable of tremendous growth and dynamism; that decades of decline and demoralization after World War II were just one chapter in a long civic saga; and that whether Boston becomes a more prosperous and globally connected place is a matter of choice. History is informative, but so are fresh eyes. The more vivid and sentimental your memories of what your city used to be, the harder it is to see it for what it is today.